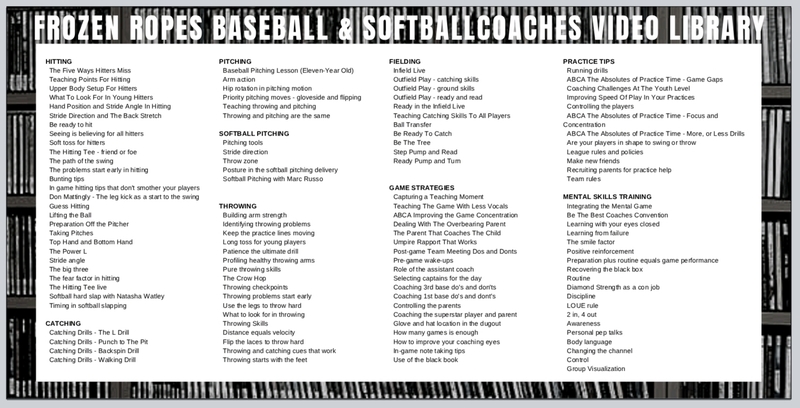 Over 100 Hours of video content covering every aspect of coaching and instruction! 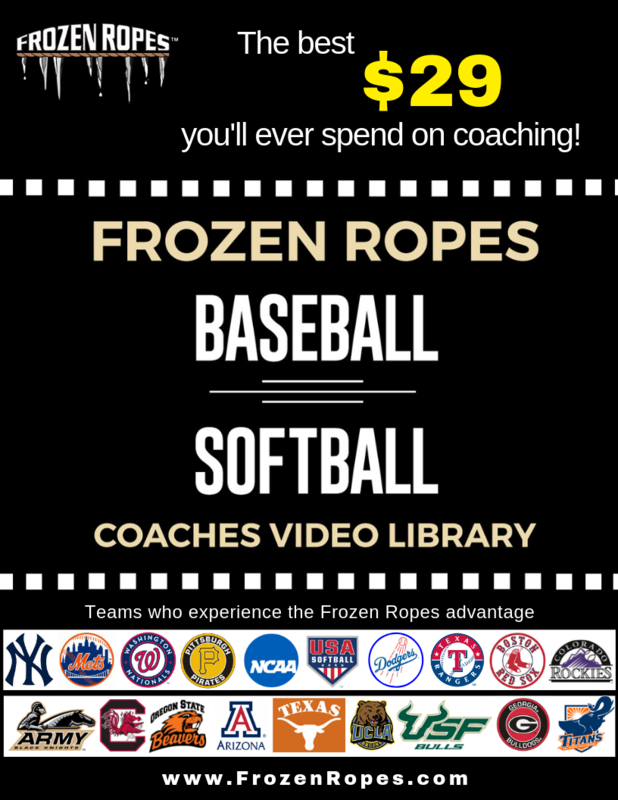 FROZEN ROPES BASEBALL & SOFTBALL COACHES VIDEO LIBRARY? 100% Guaranteed money back if you and your players aren’t completely satisfied.